"Why do we give gifts to each other at Christmas time if it is Jesus’ birthday?” This is a question that everyone has wondered at least once in their life. However, few have been able to come up with an answer. This fall, join Evelyn and her friends as they discover the reason why we give gifts to each other at Christmas time if it is Jesus’ birthday. 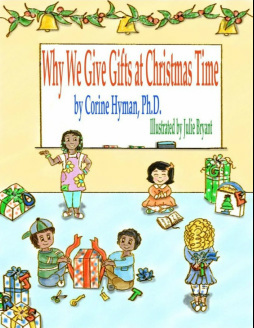 While Why We Give Gifts at Christmas Time is geared towards children 3 to 8, it is a book that the whole family will enjoy. Why We Give Gifts at Christmas Time uses biblical passages to answer the question of why we give gifts at Christmas time if it is Jesus’ birthday. While this book is geared to the Christmas season, the principles it teaches can be used throughout the year. Why We Give Gifts at Christmas Time will also be available in Spanish Por qué damos regalos en el Tiempo de Navidad. Both titles are available through amazon.com or by clicking the below links. 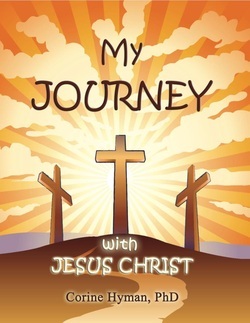 My Journey with Jesus Christ is a personalized devotional designed to help a child grow in their relationship with Christ while teaching them the key principles of the Christian faith. With places to write the child's name and sections to paste photos, draw pictures, and write the child's thoughts as they learn, the book is sure to be a lifelong treasure in their heart. Each devotion includes a short lesson about a Christian principle and ends with a space for an adult to write a prayer or love note to the child. The book includes nine lessons that tell the Christian story from beginning to end. Each lesson ends with a space for the child to write a personal prayer. The prayer page is based on the ACTS (adoration, confession, thanksgiving, and supplication) prayer model. Godly Feelings will be for parents, teachers and professional who often wonder how to react to the variety of emotions expressed by children. It will provide children with an entertaining and constructive way to learn to accept and appropriately express their emotions based on the Bible. Godly Feelings also helps to stimulate discussion and interaction between children and the adults who care for them. In Godly Feelings a variety of multiethnic youngsters will express different feelings and teach children what the Bible says about each. 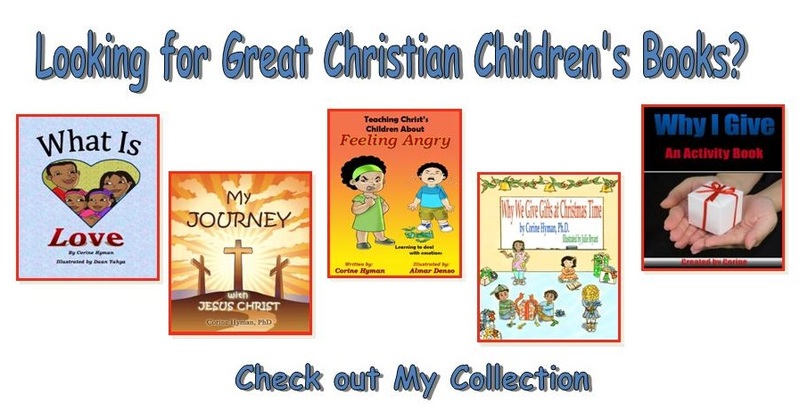 This book will not only helps children identify and express their feelings God’s way, but it also teaches children that all feelings are OK because God gave each feeling to them. Look for in the summer of 2014.